The PBE has been updated! As we continue the 7.17 PBE cycle, tonight's late night PBE update includes the new Invasion mode enabled for testing (then quickly disabled again! 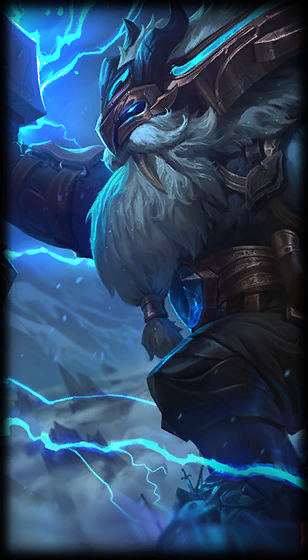 ), Thunder Lord Ornn's splash, a special loading screen for PAX Sivir, and more tentative balance changes. 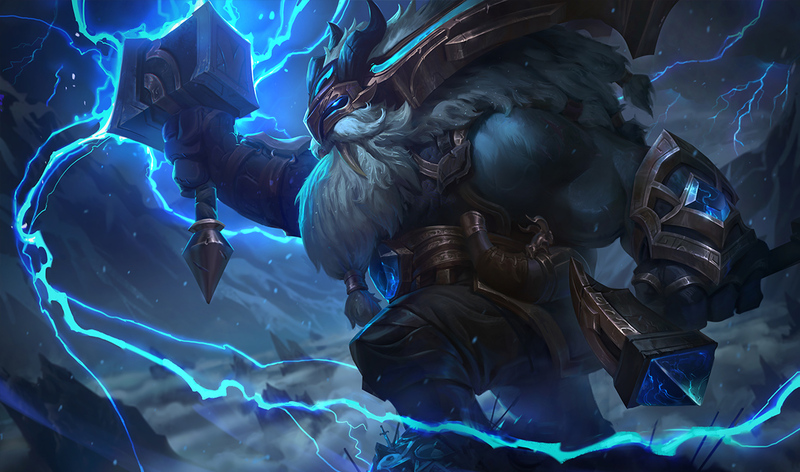 While already seen in Ornn's reveal, splash at for Thunder Lord Ornn is now on the PBE. 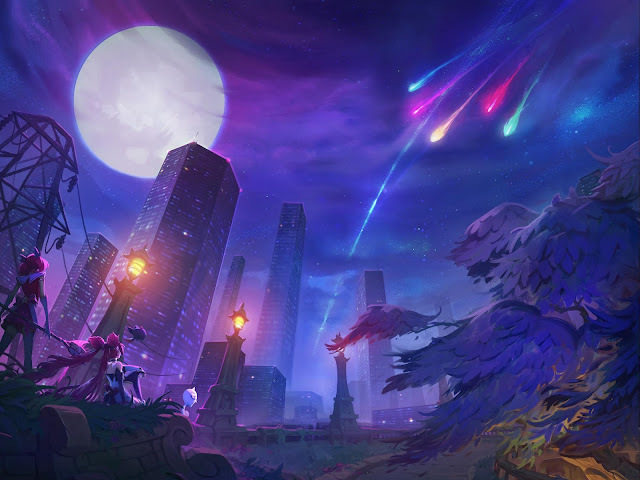 The new Star Guardian themed co-op mode INVASION is now on the PBE for testing! Alongside the new Guardians, we’ve got a new mode for you. Details below! 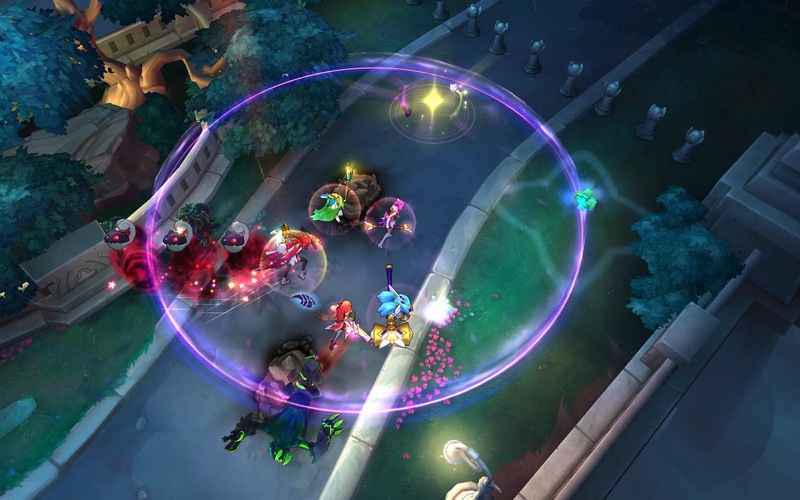 Very, Very TL;DR: Star Guardians Fight Stuff Together. Helpful Tl;DR: Invasion is a 5 player PvE mode on a brand new series of maps (yes, plural :) ). Form a squad of your favourite Star Guardians and, alongside your friends, defend the city from a series of monster attacks. Win Condition: Defeat a series of invading space monsters, culminating in a large Boss Fight. Each game “run” is made up of a series of 7 different encounters, followed by a final Boss Fight against “The Big One”. Between each encounter, you’ll be given a flat amount of Gold and a Level, and will have time to purchase items. Whenever you’re ready to move on, channel on the large star in the center of the area. Once everyone is ready, you’ll begin the next fight. Simply defeat all enemies: A wave will end as soon as the last enemy is slain. Enemies may come in multiple waves, so killing the last enemy is not guaranteed to immediately end the encounter. The last seconds of an Escape. Get yourself (and hopefully your teammates) to the escape point. 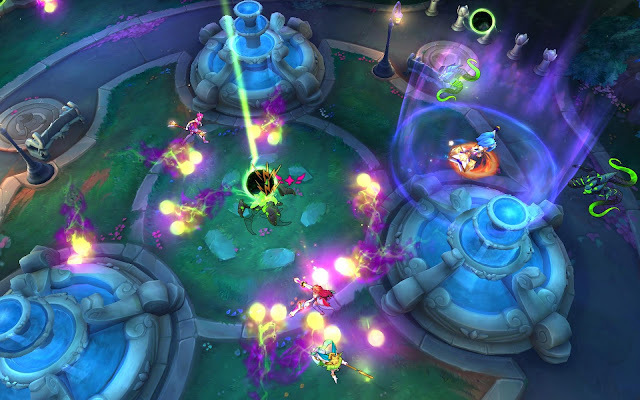 As soon as one of your teammates reaches the escape point (helpfully marked by your lovely familiar assistants), your entire team will instantly win. Leaving the Star Guardian Protective Shield will cause you to begin taking damage. Damage taken will escalate rapidly the longer you’re outside, so be careful! 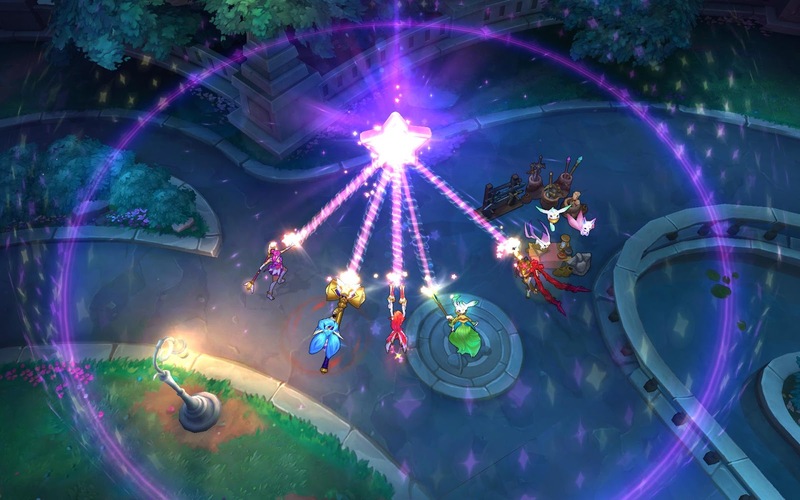 You and your team are trapped inside the Star Guardian Protective Shield. Hold back the attackers without leaving its confines. Combines the traits of both of the above: Defeat all enemies to progress, but leaving the shield will cause you to begin taking damage. Defeat the enemy boss and restore peace to Valoran City (Park)! But, of course, all of the above would be fairly trivial without things to fight, so let’s dive right into your adversaries! Constantly moves around the Battlefield, creating Ruptures as he does.. Applying any form of hard CC will stop the stomp, giving you a good window to dive right in. Bigger, Stompier, and has also picked up a new trick; This guy picks one person and hunts them down. If that Guardian comes close enough, they’ll be swallowed whole. If slain before the eatee is digested, they’ll pop right out unharmed. Otherwise, they’ll be spit them out quite-harmed (See: Dead). Chooses one person and tries really, really hard to make them have a bad day. Spends most of the time stealthed, before coming in to attack. Will leap over your head and re-stealth once it slashes you, or if you manage to stay away long enough. Ambles in your general direction. If a Guardian gets close enough, spends a few seconds getting amped up. Once done, starts firing rapidly on the nearest Guardian. A stun or silence will reset or remove the amp-up, as will simply staying away long enough. Travels underground. Once a guardian gets close enough, she will dash in a straight line towards them underground. At the end of the dash, emerges from the ground and knocks a nearby champion into the air. Regardless of whether she hits, will run towards the closest enemy and swipe at them for a bit, before diving down and repeating. Launches itself towards your team from a long distance away, swiping at every Guardian it flies past. After landing, swipes at you for a bit before disengaging and trying again. Follows around a friend, making them invincible, untargetable, and glowy. Basically, it’s a mega-medic: Shoot it first. Constantly fires massive range, slow-moving bullets across the map. Upgrades its eye-bullets to an eye-laser. Fires across the map, before rotating towards the closest Guardian. Will fire projectiles in a spiral, devastating Guardians. Can be evaded by taking cover behind terrain. Will rush forward, gravely injuring Guardians. Will cause the ground to rupture, incapacitating Guardians. Will constantly summon allies who, as a rule, do bad things to Guardians. Not altogether fond of Guardians. Will periodically open his eye, which can be attacked for some bonus damage. A downed guardian isn’t truly out of the fight, and will leave behind Starlight. Any ally standing on the marker for 2 seconds will resurrect the Guardian. Both Resurrector and Resurrected will gain a brief period of invincibility. 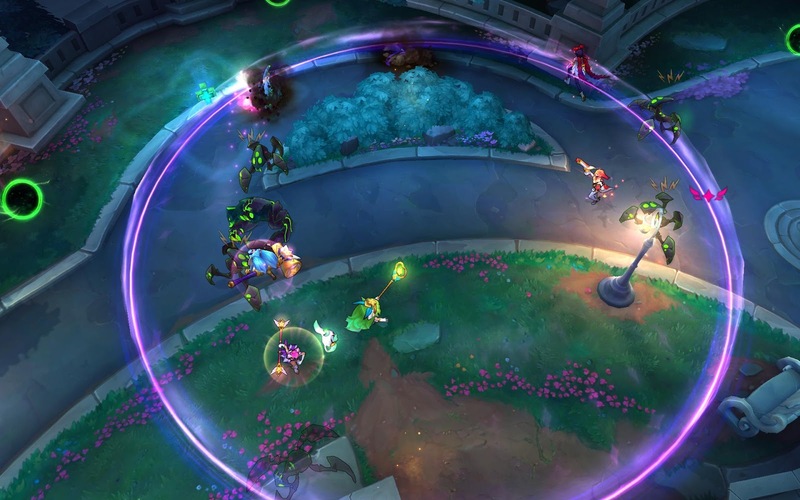 Resurrector will spend a bit of their health to save the ally. The Resurrected Guardian’s health will be based on the Resurrector’s. Your familiars will constantly summon health packs for your team. Picking up the pack will restore some health and a good amount of mana to every member of your team. We’ll be launching Star Guardian with two different queues: Invasion (the base experience), and Onslaught. Onslaught is the higher intensity version of the mode, and can be entered either after playing (not beating) Invasion once, or by queueing for Onslaught with a friend who’s already unlocked it. Unlike Invasion, which features two fixed rooms, Onslaught’s succession of rooms will be fully randomized within a set. Upon completing each room in Onslaught, you'll be given a score, and a letter grade up to S+. First, you’ll be given points based on how long it took you to complete the room (Target time is displayed in the top right corner). Afterwards, you’ll receive bonus points for completing the room with very few casualties. Upon finishing a run, you’ll receive another letter grade based on your average score across the entire run (Boss Room will be counted twice). This can be seen at the end of the game, as well as on the EoG screen. We’ve disabled ZZ’Rot, Banner of Command, Consumables, Wards, Hurricane, and all gold generation items except the FrostFang line. If you generate additional gold during an encounter (whether it be via items, masteries, runes, whatever) it will be taken out of you gold payment for the next round (So if you earn 50 gold, and should gain 150 gold, you’ll only be given 100 instead). Lifesteal will be increasingly weakened as the mode progresses, down to 60% strength for the final bossfight. If any feel impossible/ wildly off, please let us know along with your team comp/ a replay, if possible. Thank you! Beyond that, will try and fill this out as we know as we know! Thank you very much all! 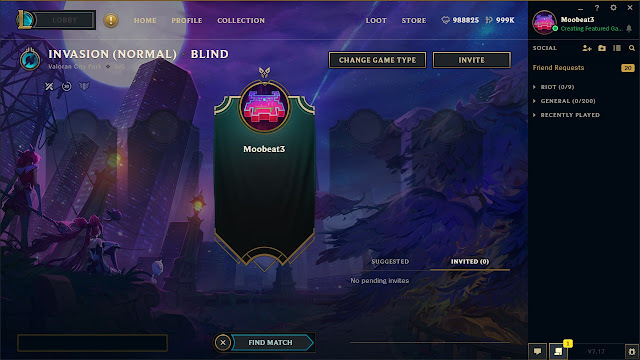 Mode should be going to PBE Soon(™), so would love any feedback then. If you have any questions or would like clarification on something, let us know below! 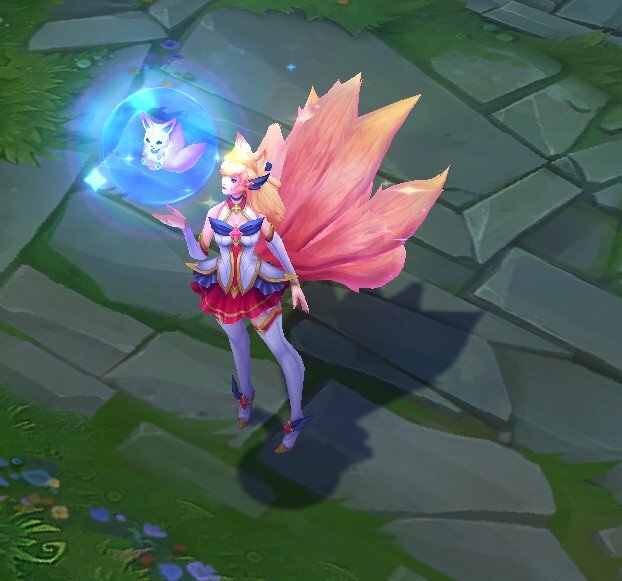 "A recent SG Ahri bug fix may have reverted her texture to an old revision with a slightly different hair color." This is what the most recent (correct) version should look like. The incorrect version's hair was more pink. 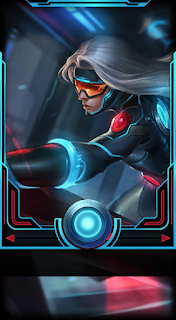 Special loading screen added for PAX Sivir. More details here. give me a wip yeah. 1) Make sure to check out Meddler's quick gameplay thoughts for 8/8 for context on several 7.17 changes. 2) Riot Szymba posted a feedback thread for Ornn! Make sure to report any bugs you may find! With yesterday's PBE deploy, we've enabled Ornn on the PBE for testing and feedback! We've spent a lot of time trying to burn down our bug count, but there are still a few things to take care of. If you happen to come across something odd during your time playing as, with, or against Ornn, please let us know through the Report a Bug tool with a description of what happened and whatever other information you can provide. 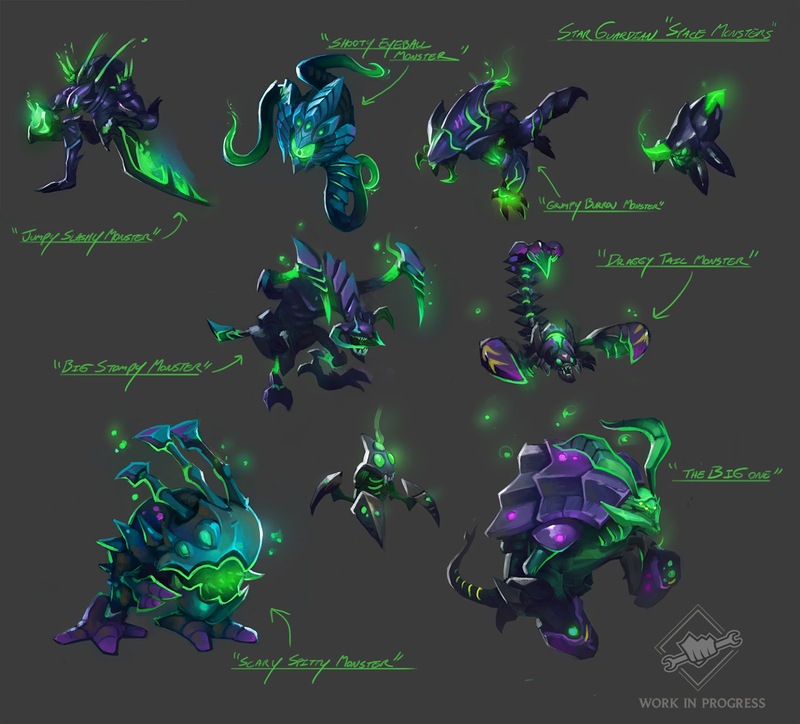 I'll be keeping tabs on these threads throughout the 7.17 PBE cycle. Thanks for all your help and rock on! that's a bug -- will be gone tomorrow"
"no, they're not completely gone but since we're cutting it close on our 'time budget' for this cycle they're considered something that we'd pick up when have time to finish them. i'm primarily focused on udyr right now, but made some time to kick off some vayne explorations and did some scripting groundwork to make it very easy for anyone to pick her up again as time allows (which could be me or another person on my team). so, we still have vayne changes in internal testing but they won't show up on pbe until we're sure we'll have time to wrap them up -- could be this patch or next, could be after worlds. for anyone curious about the changes, the direction that seems promising is removing the ability to crit tumble's bonus damage in exchange for a solid amount of power elsewhere (currently testing an increase to Q's damage ratio as well as the W changes that were on pbe already). absolutely everything is subject to change of course, but that's currently what we're looking into." 8/8 PBE Update: Ornn, Five Star Guardian skins, Neo PAX Sivir, New Icons & Ward skins, and more!